Seven teams will take the start of the Mirpuri Foundation In-Port Race on Friday afternoon at 14:00 local time (UTC). This is the second in the Volvo Ocean Race In Port Race Series. 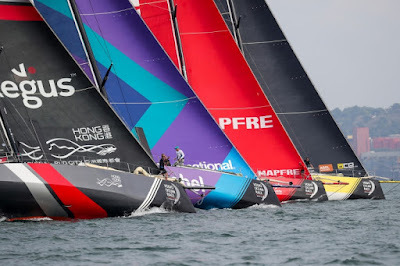 In Alicante, MAPFRE beat Dongfeng Race Team with Vestas 11th Hour Racing completing the podium. The forecast is for moderate 10 to 15 knot southwesterly winds. For that wind direction, the length of the race course is likely to be confined by the banks of the Tagus River, so Principal Race Officer Bill O'Hara is anticipating the course will be short, with at least three, and possibly up to four, laps. The target time for the race is 60-minutes.